Found 5 file extension associations related to RPG Toolkit and 4 file formats developed specifically for use with RPG Toolkit. 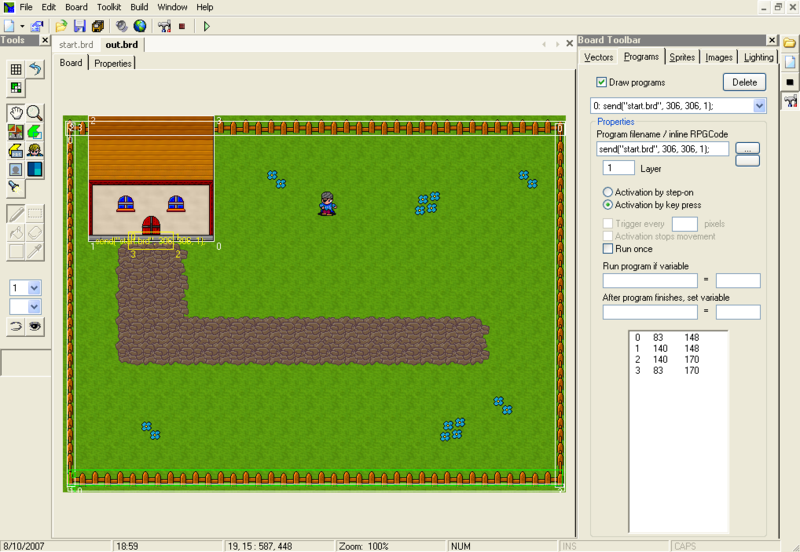 RPG Toolkit is one of the most powerful Role Playing Game editors on the Internet today. Create games from the ground up and distribute and play them. The Toolkit features a wide array of multimedia capabilities. Come see what has made RPG Toolkit one of the most popular RPG Engines on the Internet today! The RPG Toolkit software seems to be old or discontinued. If you need more information please contact the developers of RPG Toolkit (Christopher Matthews), or check out their product website.